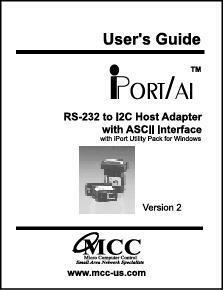 Turn ANY Computer's lagacy or add-on RS-232 Serial Port into an I2C Bus Port. Supports 7-bit addressing Standard (100k) Mode I2C Bus Activity. Fixed 100KHz I2C Bus Clock Rate. Fixed 19,200 RS-232 Baud Rate. Supports Bus Master and Slave, Transmit and Receive, Repeated Start. Simple ASCII Text Command Interface. I2C Bus is the Inter-Integrated Circuit serial bus developed by Philips Semiconductor for inter-IC communications. Now, this highly efficient and cost effective communications link is being adopted by leading technology companies worldwide for chip, board, and system level communications. An I2C Bus network can support up to 127 Master or Slave devices with a 2-wire serial interface. I2C devices can be as simple as RAM, EEPROM, or I/O devices, or have the full-blown processing power of an embedded microcontroller or microprocessor. Master, Slave, Transmit, Receive. iPort/AI supports I2C message modes including Multi-Master, Arbitration Detection, and messages from 1 to 32K bytes in length. Start sending I2C messages in minutes using our Message Manager or Message Center applications included with each adapter. 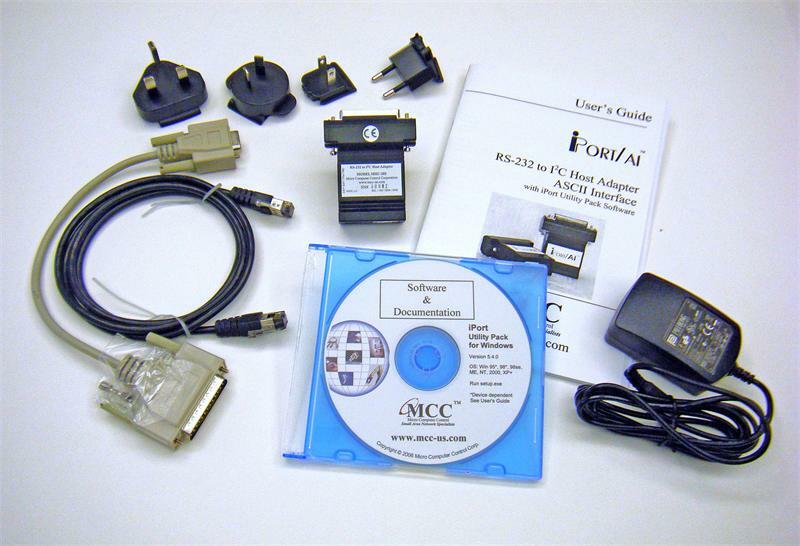 You can also use your computer's terminal emulation software (like Windows' Hyperterminal Program), or create your own custom I2C applications using any programming tool that can access your computer's serial port. Enables/Disables iPort/AI response to I2C Bus General Call (00) messages. Sets iPort/AI's own I2C Slave Address. iPort/AI will respond to I2C Bus messages sent to this address. 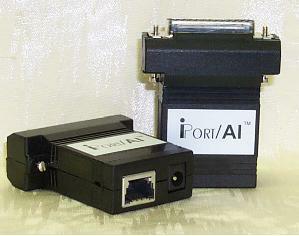 Activates iPort/AI as an I2C device attached to the bus.